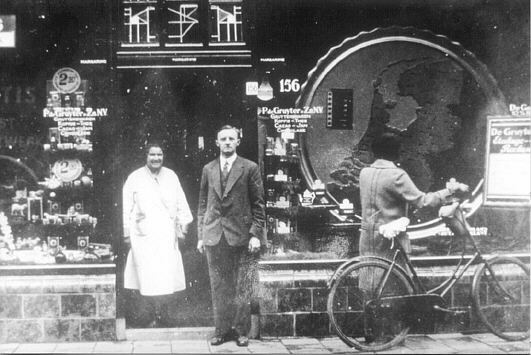 The shop of general dealer Piet de Gruyter at the Haarlemmerstraat of Leiden, 1936. On the map in the shop window, the De Gruyter shops are indicated by little lamps. Would the lady on the right have known that she was on the picture?